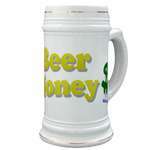 Do you need more beer money? Discover many ways to earn more spending money on the internet here. You won't get rich quick but you might have some fun making a little extra cash. Find a telecommuting job, get paid to fill out surveys, enter contests and giveaways, play games, join some affiliate programs and earn money from your website, and many more methods. SurveySavvy - Get paid to take fun surveys! Also, get paid for referrals and even make money when they complete their surveys. NPD Online Research - NPD is for real, I won $100 (see check) in Oct 2001! Blingo Win prizes for searching! More game links coming soon. Play these just for fun. Gomez - Earn Cash Every Time You Are Online! Sound too good to be true? It's not. You can earn cash for every minute your PC is on and connected to the Internet. Learn how to become certified as a bartender for FREE. Click here to receive your FREE DVD. This is a logical loophole that occurs because of a special kind of business mistake made dozens of times each week. These mistakes allow you to make hundreds of dollars, legally, from nothing. Quite literally, this is a form of investment where you can never, ever lose. Set up a donate button like this one.